Obituary for Donna J. 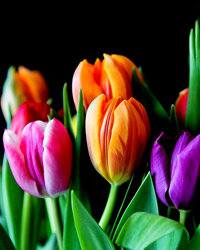 (Rupe) Fry | Cremeens Funeral Homes, Inc.
Donna Jean Fry, 84, of Middleport, passed away, at 10:12 p.m. on Friday, April 12, 2019 in the Holzer Medical Center Gallipolis. Born February 19, 1935 in Gallipolis, she was the daughter of the late Robert and Beatrice Might Rupe. She was a homemaker and a member of the Cornerstone United Pentecostal Church, of Nelsonville. She is survived by her daughters, Vicki Haley, of Kentucky, Edna (John) Lipke, and Abby Fry, both of Middleport, a son, Tim (Tammy) Fry, of Middleport, grandchildren, Courtney Haley, Heather (John) Bentley, Amber Will, Michael Adam Will, and Tyler Fry. Great-grandchildren, Lydia, Brayden, Lane, London, Bradley, and Alex, as well as numerous nieces and nephews also survive. In addition to her parents, Donna is preceded in death by her husband, John James Fry, a daughter, Tamela Fry, a grandson, Robert "Ben" Haley, a great-granddaughter, Emily Rose Will, aunt and uncle who raised her Solomon and Ida Kelly. Funeral services will be held at 11:00 a.m. on Tuesday, April 16, 2019 in the Cremeens-King Funeral Home, Pomeroy. Pastor Lew Dunnells will officiate and interment will follow in the Riverview cemetery. Friends may call from 6-8 pm on Monday at the funeral home.